A $177 million loan will help finance the $50 million Lloyd Center Remodel, according to the Portland Business Journal. 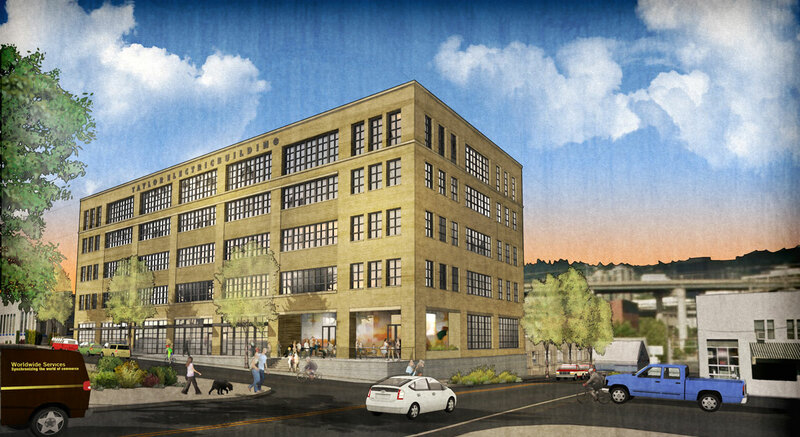 The proposed office building at Station Place Lot 5 is gearing up for its first Design Review hearing, according to a story in the Portland Business Journal. BikePortland revealed that the City may require developers to offer residents, employees $600 for biking or transit. The Oregonian published photos of the completed One North office development on N Williams, which is set to open this week. Salt & Straw is the latest business to announce a presence in the Pine Street Market. The Portland Tribune reported that one of sites being looked at for the proposed USPS relocation is in Troutdale. The move will be required for the Post Office Redevelopment. The Daily Journal of Commerce published photos of the recently completed Society Hotel. 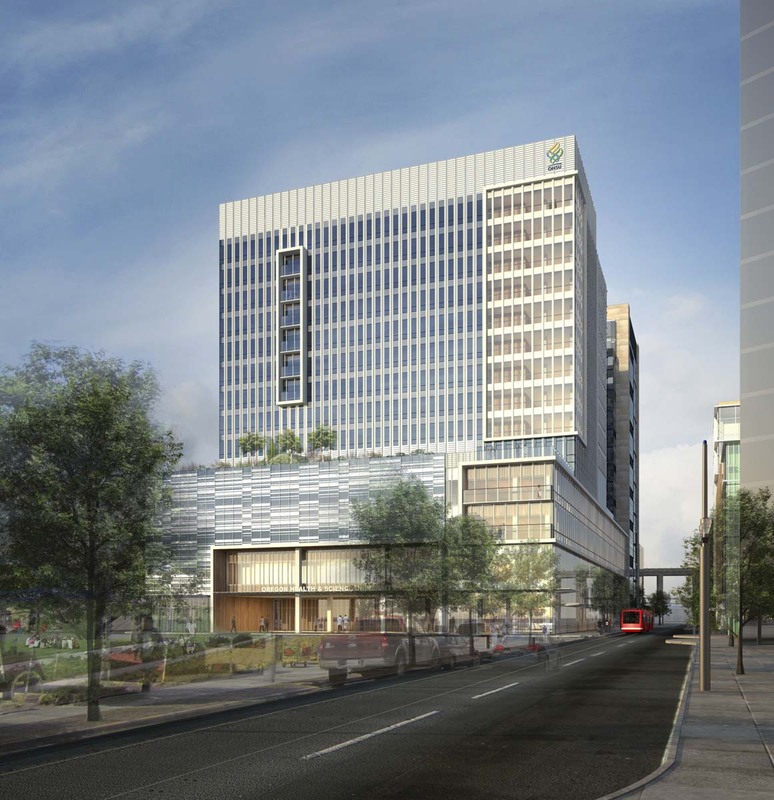 The fight over the Convention Center Hotel will go to the state Supreme Court, according to The Oregonian. A Portland renter has been offered her home for free, if she can relocate it to a new site. The house will otherwise be demolished to make way for a 10 unit expansion of Holladay Park Plaza. 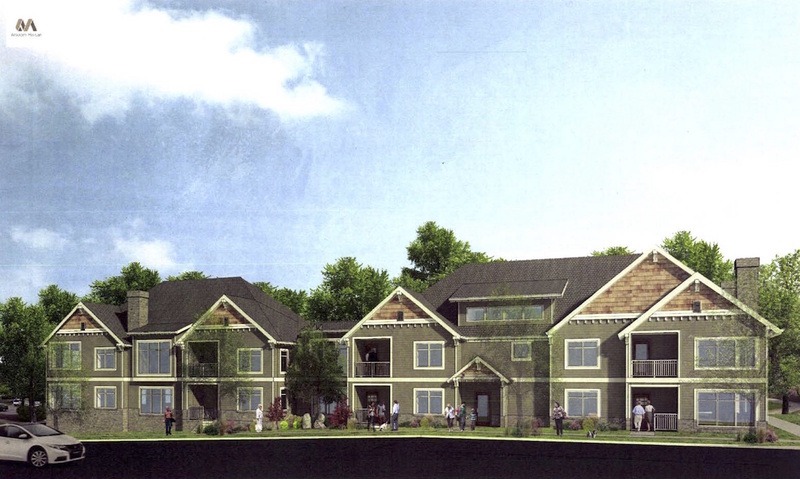 The Portland Chronicle reported that a single-family home at 7420 SE Milwaukie Blvd has been demolished to make way for a 76 unit apartment project. 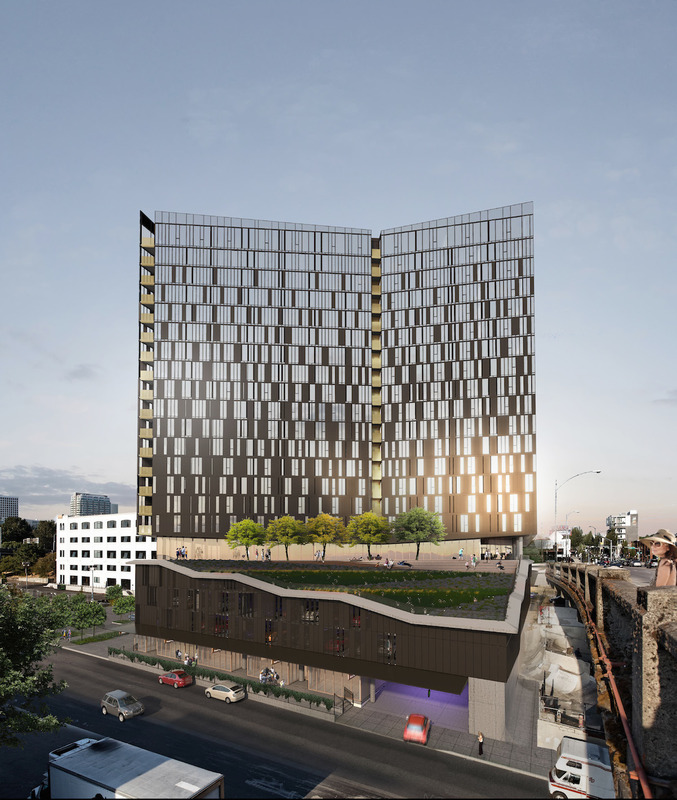 The Oregonian broke the news of another huge development in the Lloyd District that will add 980 apartments. 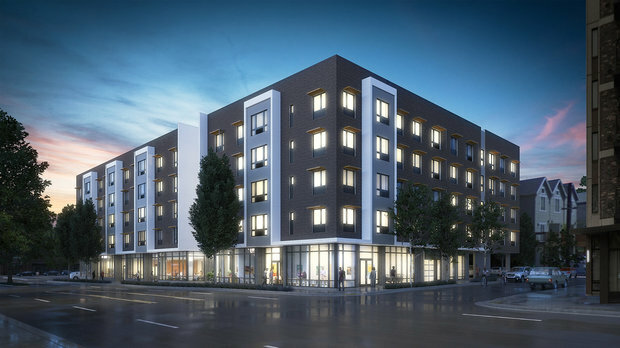 The project at 1510 NE Multnomah is being designed by Holst Architects for Southern California developer Bob Bisno. 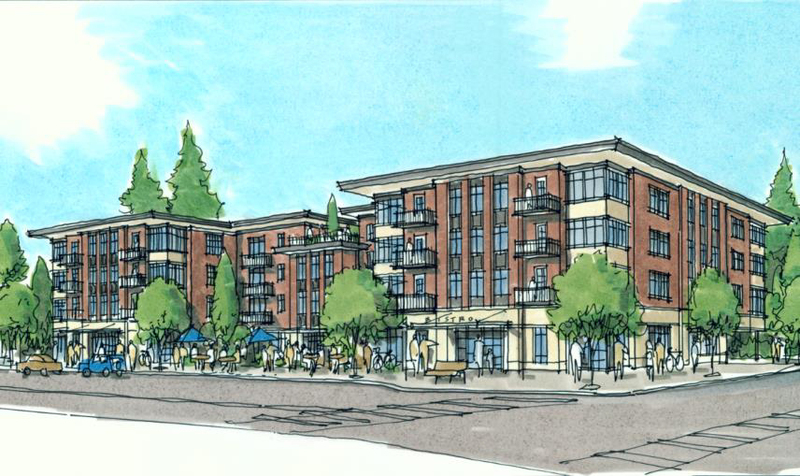 PDX Commons, a cohousing project at SE 43rd & Belmont will displace the Good Food Here food cart pod. Urban Development Partners is targeting the units to retirees. 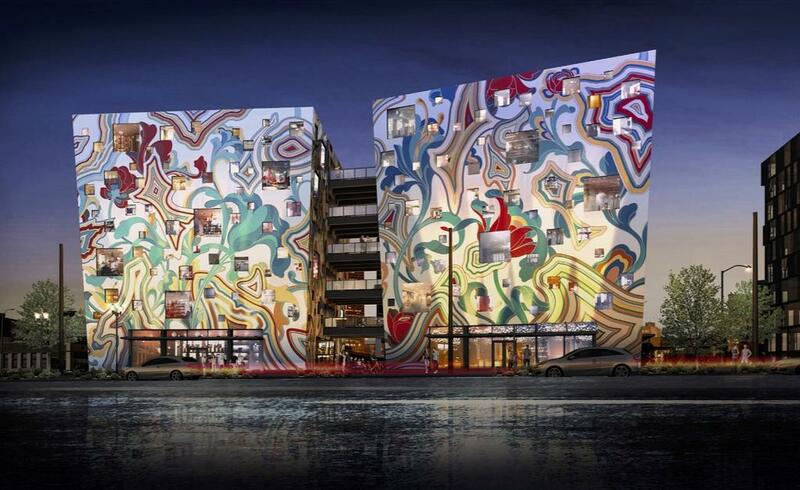 The Portland Chornicle published images of the single story retail building that will be torn down for a new building by Urban Development Group at 8235 SE 17th. 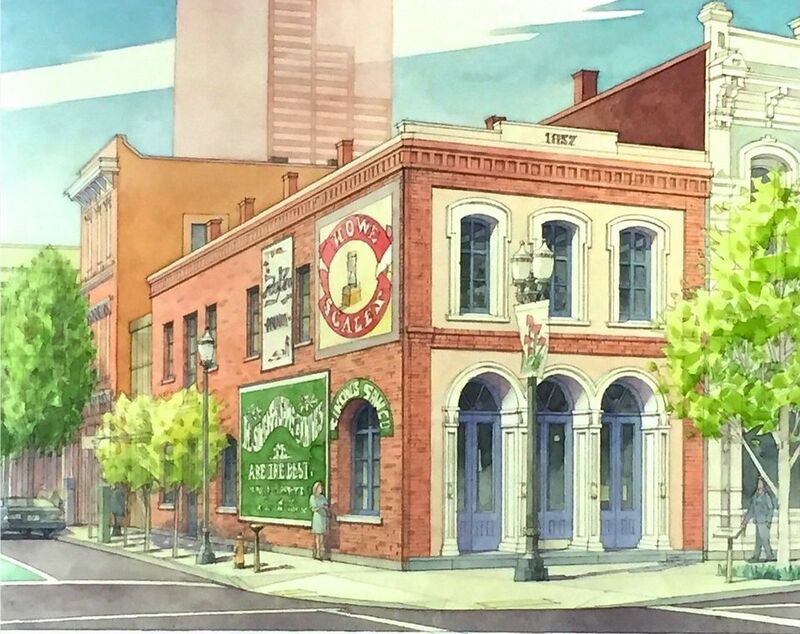 After a number of false starts, the Hallock & McMillen Building on Naito Parkway is due to be restored. The building is Portland’s oldest surviving commercial structure. The Oregonian looked into its history. The first completed building at One North is The Radiator, which includes the first earthquake early warning system of its kind in the Northwest. The board of Portland Public Schools voted in favor of a pre-development plan that will allow NAYA Generations, an inter-generational housing and learning community for Native Americans, to move forward. Food cart Los Gorditos will be temporarily displaced by the construction of apartments at 4937 SE Division St, however The Portland Business Journal reports that they are close to signing a deal to open in one of the retail spaces in the new building.